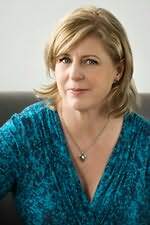 Liane Moriarty is an advertising copywriter turned author who grew up in Sydney, Australia. The Last Anniversary is her second novel. Her first novel, Three Wishes, was published in seven countries. "I enjoyed every page of this touching, authentic novel." "vintage Dorothea Benton Frank-a funny, poignant read." "It made me laugh, it made me cry, it made me think." "Women's fiction at its finest." "Intriguing, compelling. Impossible to put down and irresistibly good."